How many carbs in green beans are found in one cup? What health benefits does it provide? 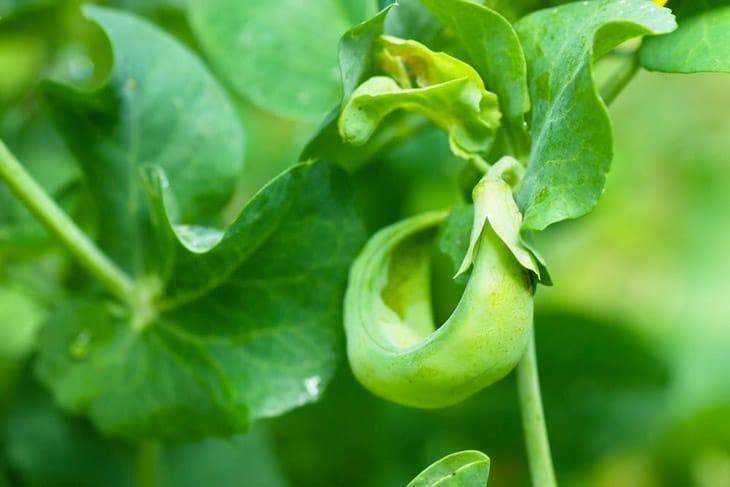 You’ll be surprised to find that this humble vegetable contains so much your body just might need. Green beans, otherwise known as string beans or snap beans, are in the bean family that includes kidney beans, pinto beans, and black beans. They are a delight not just for vegetarians but for anyone looking for wholesome nutrients. It's available all throughout the year, with a lower price during the peak seasons. This vegetable is originally from South and Central America. Now, it is found in almost every continent. The highest commercial producers of fresh green beans include China, France, Spain, the US, Mexico and India, Indonesia, Argentina, Italy, Egypt and the Netherlands. 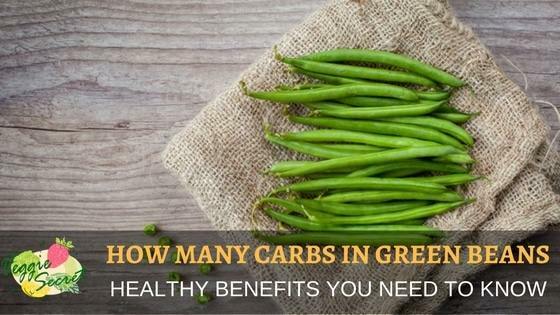 1 Nutritional Values- How Many Carbs In Green Beans? Nutritional Values- How Many Carbs In Green Beans? One cup of raw green beans, which is about 110 grams, provides 12mg of vitamin C. That's about 15% of the daily recommended intake for women and 14% for men. It also contains 690 international units of vitamin A which 30% of the daily requirement for women, and 23% for men. 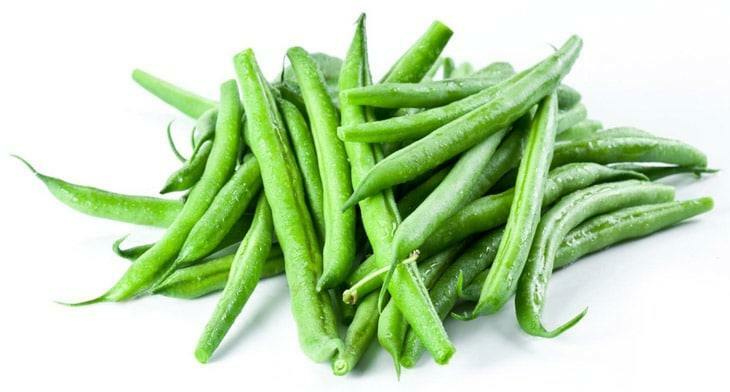 Each cup of green beans contains only 31 calories, 7 grams of carbohydrates and 2.7 grams of dietary fiber. It also has 2 grams of protein and less than half a gram of fat. 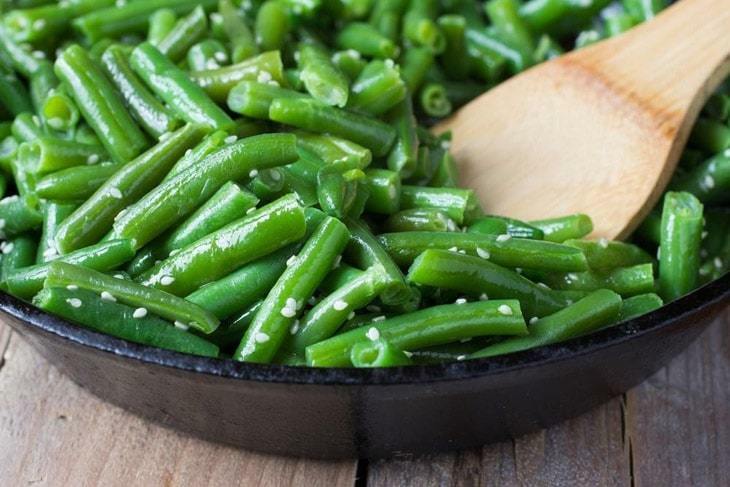 Green beans are an excellent source of iron because each cup of it gives a woman 6% of her daily requirement of iron. On the other hand, it gives men 13% of their daily need. String beans or green beans also provide a good amount of other minerals like calcium, magnesium, and phosphorus. The nutritional content of green beans has a lot of benefits to your body. Since green beans are rich in dietary fiber, it promotes a healthy bowel movement. The fiber acts as a bulk laxative, preventing constipation. A fiber-rich diet also helps lower blood cholesterol levels. 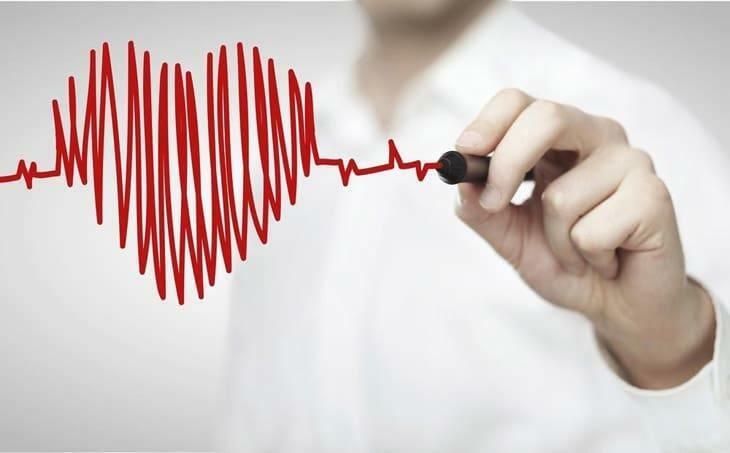 Manganese, iron, calcium and the other minerals are all agents that help in controlling blood pressure and heart rate. Insufficiency in the vitamins and minerals found in green beans can make you more susceptible to sickness. Vitamins A and C help support the immune system which is the defense mechanism of our bodies. Therefore, this boost your immunity.Calcium and vitamin C promotes healthy bones, muscles, and teeth, while the iron is necessary for oxygenation in the blood. Without anti-inflammatory agents, inflammations could become a chronic problem. On the other hand, antioxidants are necessary to reduce stress or damage on cells. 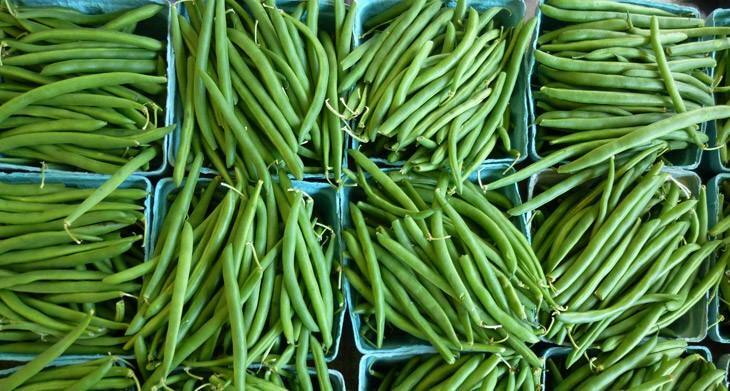 If possibly, shop for green beans at a market that sells them loose rather than pre-packed. That way, you can sort them to get the best quality. Select raw vegetable that has vibrant green color with a smooth feel. Choose long, tender and stiff beans. Ideally, when you break it, it should snap. That's why green beans are also called snap beans. The tough skin means they are old. Did you know that they are the second most popular homegrown vegetables? That's because it's quite easy to care and they yield a lot. Even if you don't have a green thumb, growing beans is still easy. Green beans seed like warm soil. Don't sow seeds until the danger of frost is gone. Green beans plants like lots of sunlight so find a place where it gets a lot of it. Plant the seeds at about an inch deep or 2. For every person in your household, plant about 10-15 is enough.Keep the soil bed evenly moist by watering it regularly. For more information on growing green beans, read here. They have tips on growing pole beans and bush beans, and how you should harvest. Store unwashed green beans in the plastic bag and keep them in the crisper compartment of the refrigerator. This slows down any deterioration and will keep for about one week. Refrigeration will also prevent or slow the loss of vitamins and minerals. Wash them only when you're ready to eat them. 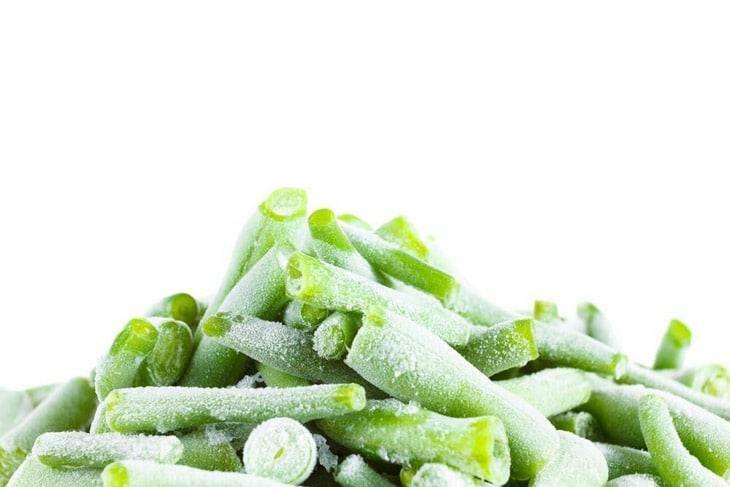 If fresh green beans are not available, you can opt for frozen ones. Frozen beans still retain a lot of valuable nutrients in them. You can also freeze freshly bought green beans if you suspect that it won't be available year round. However, keep in mind that even with refrigeration and freezing, time still lessens the nutritional concentration. Just before you're about to cook them, wash them under running water. Remove the strings and cut the ends of the beans. Like most vegetables, the way you cook affects their taste, color, texture, and most importantly, their nutritional value. Keep in mind that green beans require a short cooking time. Minimal cooking is best because it retains the vitamins, minerals, and the other nutrients. 3-7 minutes of steam is about enough time to reach good results. The colors should be vibrant. From 9 minutes, you should notice a drop of color. A drop of color means more nutrient loss. Some nutrients found in beans are sensitive to light. That means, prolonged exposure to light contributes to the nutrient loss. When steaming, covering the pot will maximize the nutrients and prevent further loss. Sautee in olive oil with onions and garlic and a little bit of salt and pepper. Serve with classic ingredients in a vegetable salad. After rinsing with cold water, eat it with hummus, salsa, or your preference of dip.